I heard that the Christmas Little Northern Contemporary Craft Fair was on a few weeks ago, so I popped along to Altrincham Town Hall to take a view. 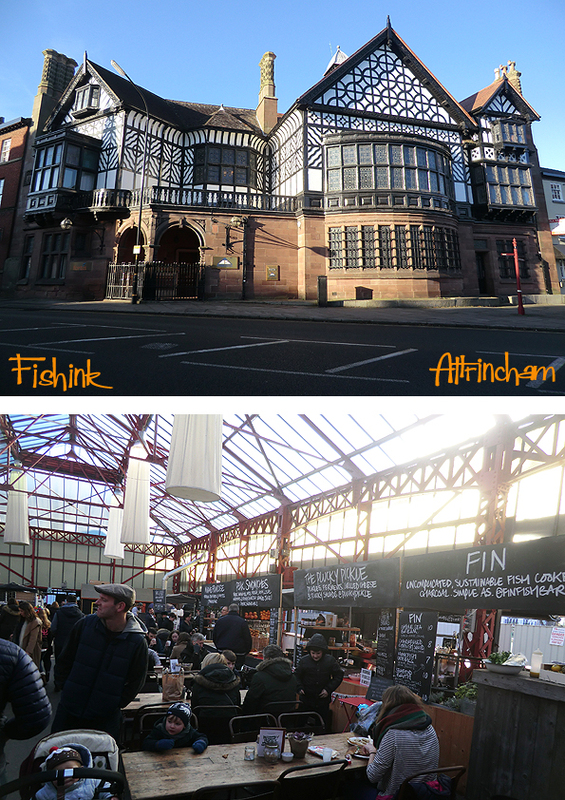 This isn’t the Town Hall (below) by the way, just a beautiful building I spotted en route, and the lower shot was taken in the Market Hall, which hosts a variety of craft, design, vintage and food stalls, alternating the theme most weekends. I spotted a few faces I was sure I’d seen running around the fields earlier that day ! Beautifully made and I’m always drawn to work that makes me smile. 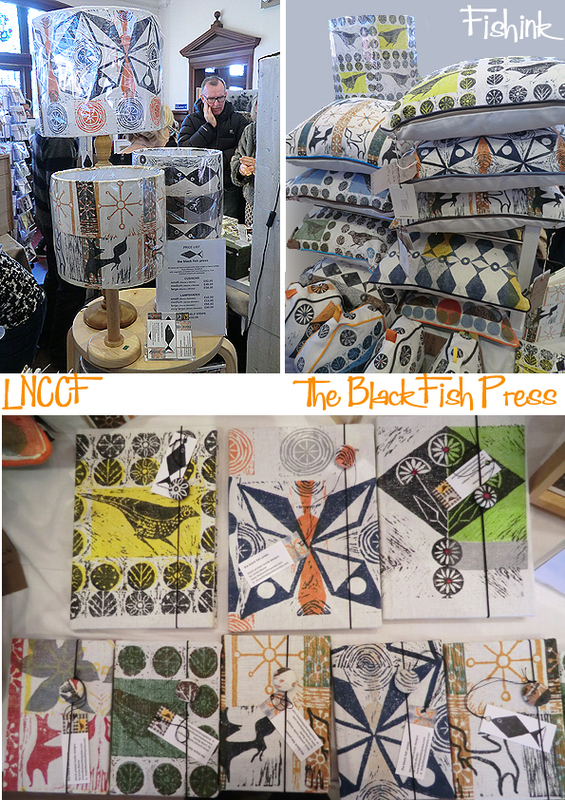 The second stall I really admired, was the work of Linda Baxter from The Black Fish Press. 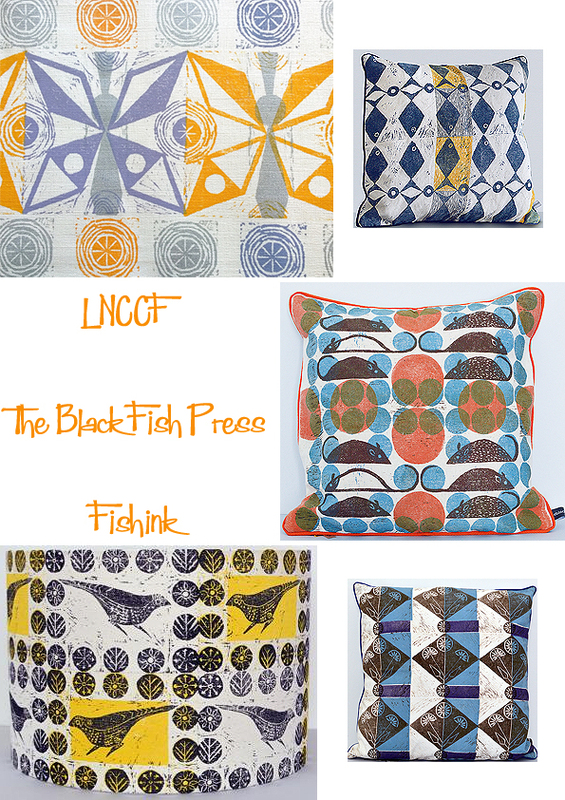 Linda says ” My interest in lino block printed textiles began back in the 1980s while studying for a History of Design degree at the then Manchester Polytechnic, where I came across textiles designs by 20th century artists and sculptors like Ben Nicholson and Barbara Hepworth who, in the 1930s, had designed and printed lino block fabrics for their own use, some of which were later produced commercially. Researching and reproducing these textiles was a great way of learning and understanding the design disciplines and printing techniques involved. I also wanted to catch up with a friend I had made a few years ago when exhibiting previously with LNCCF, Jeweller Heather Fox. 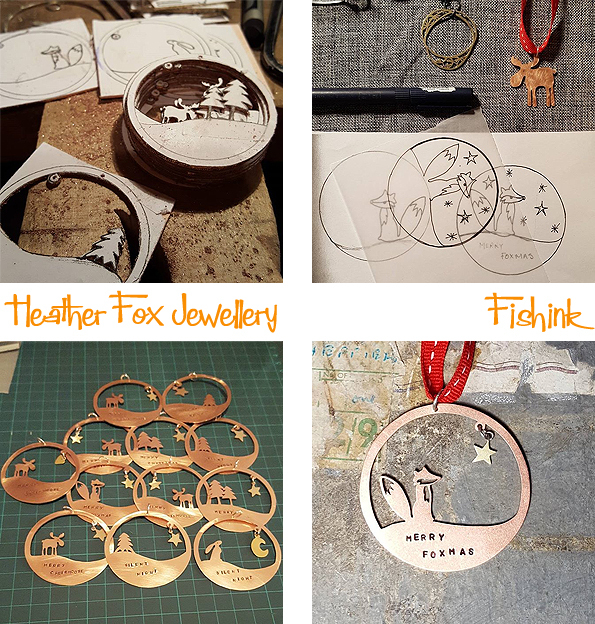 Heather was selling her Jewellery and new range of unique christmas decorations at the fair this year… aren’t they great ! I had long been inspired by a ring I bought for my partner back in the early 90’s, from a Jeweller in the Manchester Craft and Design Centre, who’s name I don’t remember and has since moved. (If anyone knows this designer’s name, please let me know). 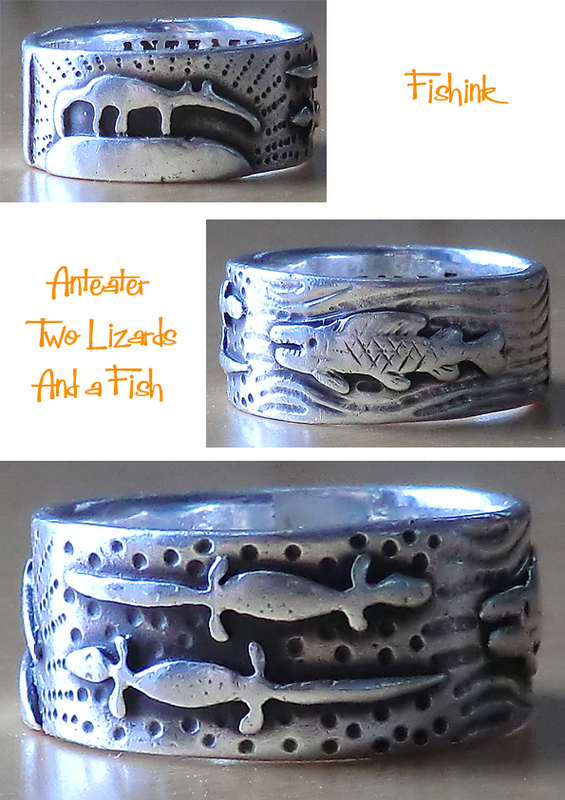 It’s a fun silver ring called “Anteater, Two Lizards and a Fish” and I decided that I wanted to create something similar for myself, using my own drawings and the skills of a Jeweller who’s work I liked. I had a chat with Heather about my idea, and the collaboration was accepted. 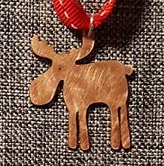 Heather had already created work which involved layering silver upon silver, and had a sense of humour (with her ‘Chris Moose’ below) that I could also relate to. I’m excited to see what happens. 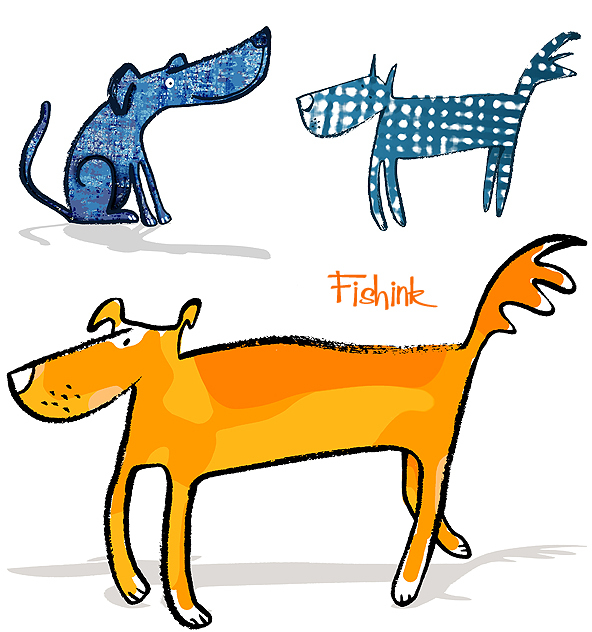 Of course I will be using some of my illustrations as a starting point…. watch this space for more news !!! 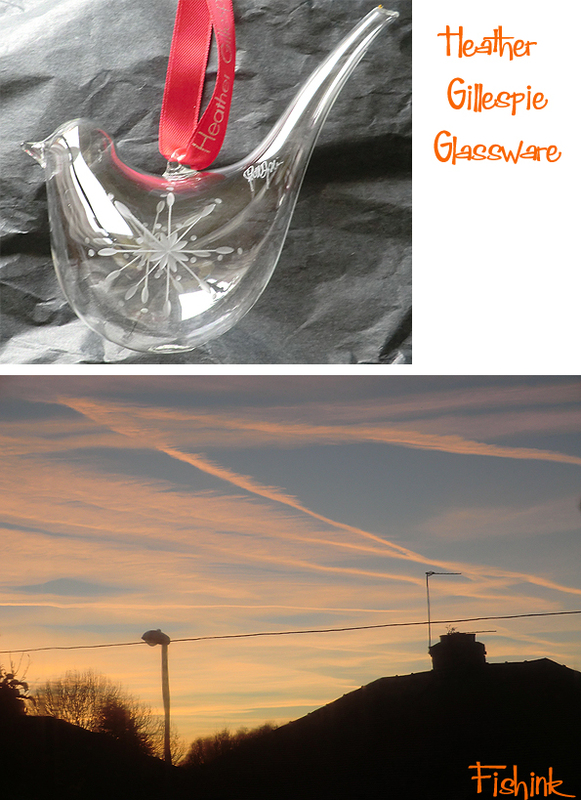 I also couldn’t help but buy one of these lovely glass birds by maker Heather Gillespie. It will sing loudly from the tree this year : ) Lovely skies we are getting lately too. How are your Chrismas plans going so far ? 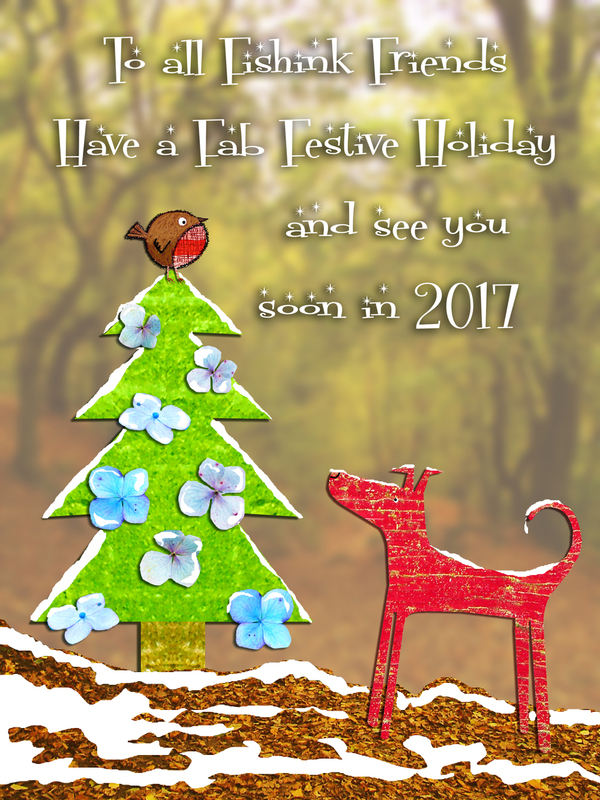 As this is my last blog post for 2016, there’s just one last thing to say….. Happy Holidays Everyone! Let’s all catch up again in a couple of weeks… bye for now. Happy Holidays! 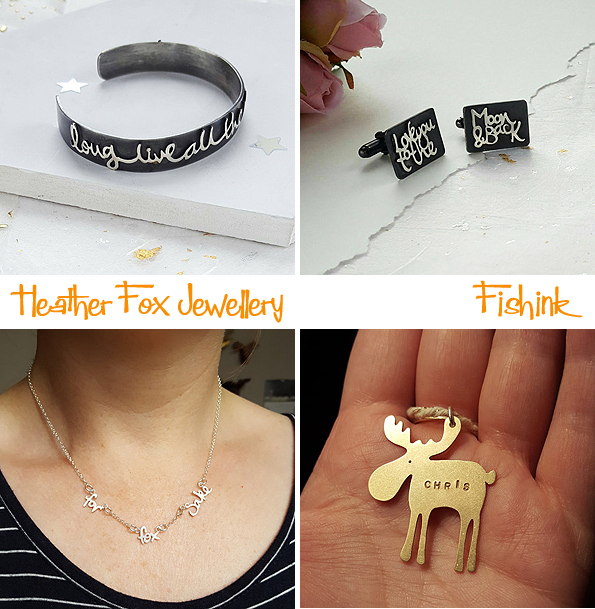 I love the idea of commissioning jewellery to your own artistic vision. I look forward to seeing how that turns out. I love that glass bird. So beautiful. 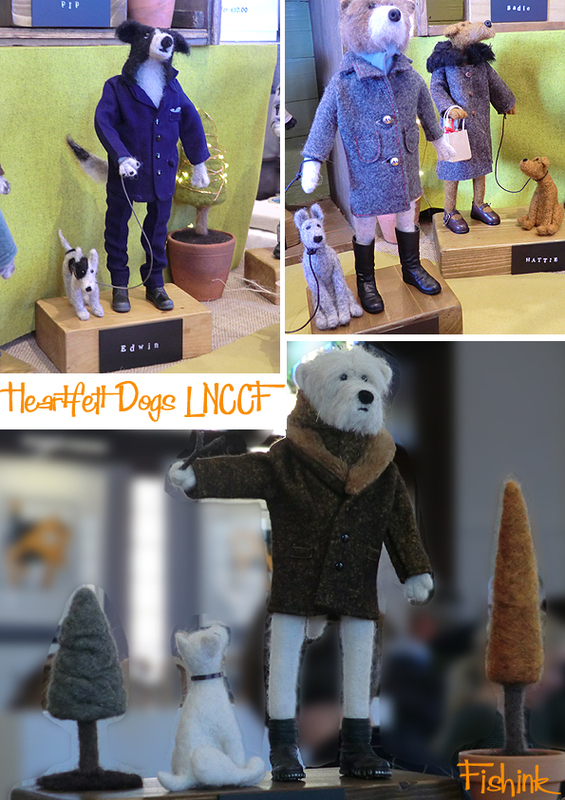 The felted dogs made me smile. So much personality and wit. Thanks Laura, fingers crossed it goes well too : ) Have a great Holiday also and thanks for your comments throughout the year. Thanks Elaine, the same to you. Ahh thanks Lizzie, have a sooper one yourself and may your sniffles disappear very soon : ( Catch you in the new year . 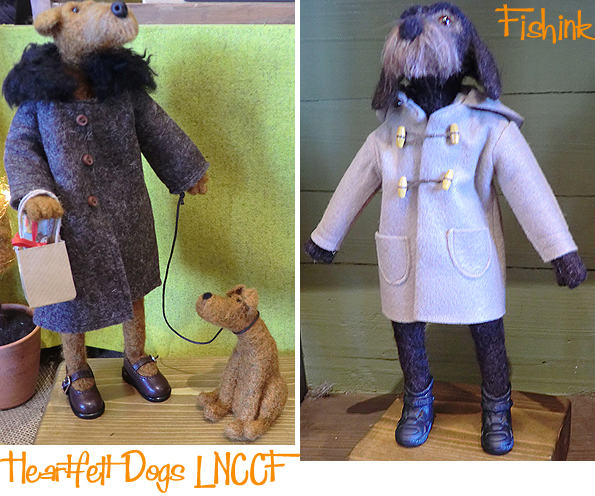 Oh those wool dogs are crazy fun! I love the detailed coats, reminds me of the quality clothing Mattel made for Barbie back in the ’60’s, now it’s just junk. Love the graphic quality of Linda Baxter’s work, the colors too. Art is so much fun. Merry Christmas Craig. Thanks for a year of lovely posts. Thanks Vivianne, so glad you enjoyed them. Please come back for more next year and enjoy your festive break in the interim. 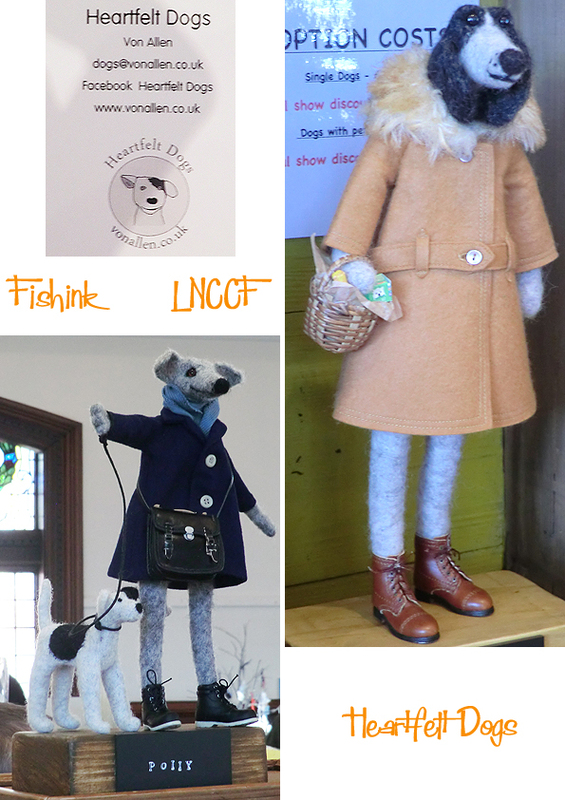 Many thanks Jo for your comments, so pleased you’re enjoying the blog, all the best of luck with your creative work too. Have a great start to your year.